Community and fellowship are vital at Redeemer and we have a wide variety of active small groups. On Tuesday afternoons during the school year, we offer dialogue and teaching on the biblical lessons for the upcoming Sunday, with tea and goodies always provided. This group allows movie lovers a chance to gather together to watch a movie and then discuss it. Movies range from the sacred to the secular, as chosen by the group. There are snacks to share and drinks are BYOB. ROMEO (and JULIET) is "Redeemer Older Men Eat Out" – while a funny moniker, these men have been meeting for breakfast on the third Tuesday of each month for around 30 years, and always welcome new persons to join them. A non-traditional kind of ‘Women of the ELCA,’ this group gathers (usually once a month) for faith, action, mutual support, and stirring the spirit within. 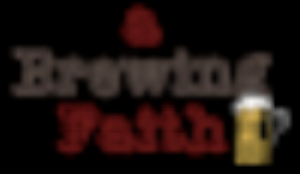 Meeting the second Tuesday evening of each month at Strongwater Food and Spirits (401 W Town Street in Franklinton), this group has informal conversation about different aspects of our faith, over drinks and dinner. This group is for those with an interest in how our church building can more efficiently use energy and reduce our carbon footprint. Also involved is environmental advocacy within the congregation.